We offer our deepest condolences to her family at this difficult time, especially Bobbi Kristina and Cissy Houston. .....and Why Does It Hurt So Bad! "We are devastated by the loss of our beloved Whitney. This is an unimaginable tragedy and we will miss her terribly. We appreciate the outpouring of love and support from her fans and friends." "Whitney Houston was an icon and a once-in-a-lifetime talent who inspired a generation of singers and brought joy to millions of fans around the world. She had a voice of unmatched beauty and power that changed music forever, and she leaves behind an indelible legacy of timeless songs that will never be forgotten. She also was an important member of the Sony Music family who spent her storied recording career with Arista Records. She will be greatly missed. Our deepest condolences go out to her daughter and her entire family." "I have a very heavy heart and I am personally devastated by the loss of someone who meant so much to me." "Six-time GRAMMY® winner Whitney Houston was one of the world's greatest pop singers of all time who leaves behind a robust musical soundtrack spanning the past three decades. Her powerful voice graced many memorable and award-winning songs. A light has been dimmed in our music community today, and we extend our deepest condolences to her family, friends, fans and all who have been touched by her beautiful voice." "I am deeply moved by this very sad news. Whitney was an amazing and unique artist. When I started singing in english, she was a role model for me. I admired the singer; I loved the very charming and warm person that I had the opportunity to meet a few times. Today all my thoughts go to her daugther and family." "She had everything, beauty, a magnificent voice. How sad her gifts could not bring her the same happiness they brought us." "This is a terrible loss, a tragic loss, and what seems like might have been an avoidable loss. I am deeply saddened by this tragedy and my heart goes out to her family in this time of need." “We have lost another legend. Love and prayers to Whitney's family. "My heart is weeping. RIP to the legendary Diva & Icon Whitney Houston! Such an incredible influence over music as a whole! She's paved the way for every single singer in the music industry. Iconic, legendary, innovating, amazing, humble…1 the best in the world." "So many tears, hurting so bad, this is unbelievable! I really don't know what else to say. I wanted my sister Whitney Houston 2 make it." "I'm absolutely devastated... she had that voice that could just turn a story, a melody into magical, magical notes." "I'm being honored tomorrow @ Grammy's and it just don't feel right." "I feel sick... Life is precious, we are fragile souls. Let's love each other! I miss you beautiful Whitney, the whole world misses you!" I just can't talk about it now. It's so stunning and unbelievable. I couldn't believe what I was reading coming across the TV screen. My heart goes out to Cissy, her daughter Bobbi Kris, her family and Bobby." "I cannot begin to express my sadness & pain that I am feeling for the loss of my baby sis, Whitney. Its still not real to me. I send love and prayers to Cissy, Bobby Kris, Bobby & the family." "To me Whitney was THE VOICE. We got to hear a part of God every time she sang. Heart is heavy, spirit grateful for the GIFT of her." "Such a loss. One of the greatest voices of our time. Sending out prayers to her family. R.I.P. Whitney." "The loss of Whitney Houston is painful. I remember meeting Whitney for the first time when I was 15. She was the ultimate legend. The ultimate woman. Not only was she confident, poised, stunningly beautiful and intelligent, but she was sincere and kind. She took the time to make everyone feel like they were very important to her. I, like every singer, always wanted to be just like her. Her voice was perfect. Strong but soothing. Soulful and classic. Her vibrato, her cadence, her control. So many of my life's memories are attached to a Whitney Houston song. She is our queen and she opened doors and provided a blueprint for all of us. God bless her." "Shocked we've lost the immensely talented Whitney Houston!" "My thoughts and prayers for Whitney's family. The voice of our time is now silent. RIP Whitney." "I love great voices, and hers was the greatest of all. She has a song called that, but she didn't know that she was talking about herself. The greatest voice." "I have no words to express how I feel. Whitney was not just a friend but a sister and I am going to miss her voice, her humor but mostly her friendship. She was undoubtedly one of the greatest singers of all time but she was also a great person. Please keep her family in prayer and the best way to honor her is to be reminded that tomorrow is not promised to any of us so love God and love each other." "I am overwhelmed. I cannot wrap my mind around this. I missed the chance to see her at a party this past Thursday and when we spoke last she had just finished SPARKLE and she told me how excited she was to start production on WAITING TO EXHALE 2 with Angela, Lela and myself. My prayers go out to her family and I am so honored for the time I spent working with her on WAITING TO EXHALE, THE PREACHER’S WIFE and on ‘Boston Public’. I love you, Whitney, and I will miss your easy laugh." "R.I.P. Whitney Houston gone but never forgotten." "I'm so sad... Whitney Houston was so kind, sweet, wonderful, amazing, talented, and a true gift to the world." "Please, please someone tell me it's not true... Little by little these deaths kill the best part of each of us, the awe and joy we feel when we hear a gift that can only come from God." "RIP Whitney Houston. Sending my love and deepest condolences to her family and friends. Fly Whitney Fly." "I am so sad to hear about Whitney. 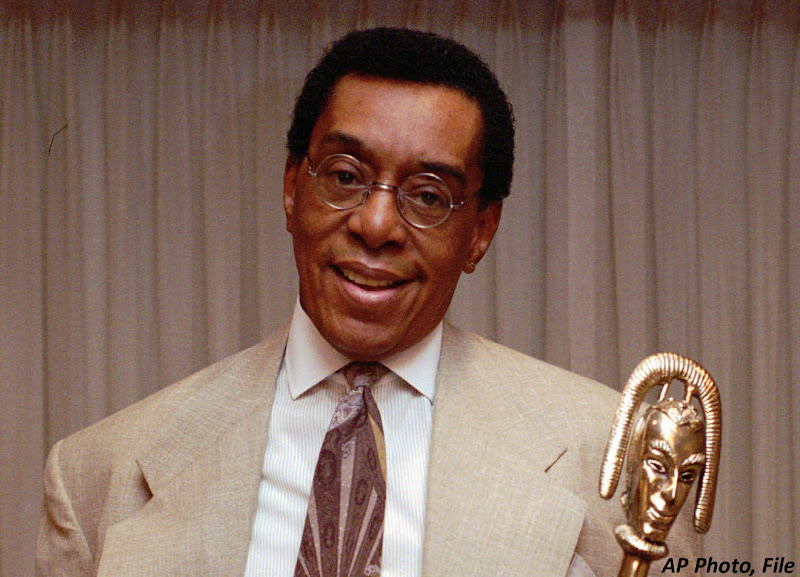 We have lost one of the greatest singers of all time." "No words! Just tears. Dear Whitney." "So devastating. We will always love you Whitney, R.I.P." "I’m speechless… I’m in shock right now. Just pray for her and the family." "Mine is only one of the millions of hearts broken over the death of Whitney Houston. I will always be grateful and in awe of the wonderful performance she did on my song and I can truly say from the bottom of my heart, Whitney, I will always love you. You will be missed." "I am absolutely heartbroken at the news of Whitney's passing. Ashford & Simpson first made me aware of Whitney when she was just 16, and I always regretted not having had the opportunity to work with her. She was a true original and a talent beyond compare. I will miss her terribly." "Whitney Houston may you Rest In Peace. You will be missed and you will be remembered for your beautiful voice and positive things you did." "It's a tragedy. Whitney Houston was the greatest singer I've ever heard and she will be truly missed." "She had incredible beauty and talent and yet she seemed to be in so much pain. A terrible loss for her family and for all of us." "I dedicate my set tonight to Whitney, I will always love you." "Nothing I could write on twitter could possibly express what Whitney Houston means to me personally and professionally. Nothing." "Whitney Houston was by far one of the greatest artist I ever worked with. One of the most amazing, anointed, gifted voices I've ever had the chance to capture in the studio. Most importantly she was a beautiful person, she had such a sweet, beautiful spirit. She blessed us with so much greatness in songs that we can never ever forget her. Whitney was a dear friend and my family will truly miss her. Our love and prayers go out to the entire Houston family! We love and miss u Whitney!" "This is the saddest thing I've ever had to write in my life, R I P to one of the greatest humans that I have ever known Whitney Houston." "I am completely devastated by the loss of the greatest voice of all time! R.I.P. Whitney Houston. I will always love you!" "I am beyond heartbroken. Whitney Houston was undoubtedly one of the greatest singers and performers of all time and such a huge influence on me. She embraced me when I first started out with Destiny’s Child, with love, with encouragement and with that powerhouse voice. My deepest sympathies and prayers go out to her daughter, her mother and to all of her loved ones." "We've lost another legend. RIP WHITNEY HOUSTON. I'm honoured to have had the chance to work with such an amazing human being." "R.I.P Whitney Houston... A true icon of our time. Gone too soon. My heart goes out to the family in their time of distress." "I just heard the news... so crazy. One of the GREATEST VOICES EVER just passed. RIP Whitney Houston. My prayers go out to her friends and family." "Tears won’t stop falling man! Wow! I literally was jus with her laughing, joking, talking... she is like family! Wow man! Funny she hugged me and said they don't know. We from East Orange, New Jersey! Told me to keep making incredible music and to stay humble." "In one month we lost Etta James, Don Cornelius, and Whitney Houston. All in black history month, unbelievable." "Thank u 4 the times we worked 2gether your Voice touched the World! N this rough time I pray for The Houston Family." "R.I.P. Whitney Houston. Ugh I hate that I'm even typing this…I'm shocked. She was my hero growing up." "Jesus Christ, not Whitney Houston. Greatest of all time." "Whitney Houston! OMG! I really can't believe this. This is one of the saddest days ever." "Whitney Houston is my favorite singer. I thought she had the best, natural female voice. That I had ever heard. BEFORE or SINCE. The one good thing is that she recorded so many great records, so that means she'll live forever. Amy Winehouse, God Bless her, but she had only done two albums, she was very young. But Whitney had recorded so many great things. But its still a shame, she's 48 years old. It's a shame." "Whitney. Rest in peace. There will never be another like you. Lenny." "Such terrible news to hear of Whitney Houston's passing. She gave the world so much happiness. God bless her & her family at this time." "I'm speechless, I'm in shock right now. Just pray for her and the family." "A voice, a talent, and a spirit that will forever remain incomparable. RIP to the Queen, Whitney Houston." "Can't believe we've lost another 1 of our Royalty. Sister Queen Whitney Houston. God Bless on ur journey as u now stand with the Most High." "Mama Whit. RIP. My heart hurts." "At this time, the question is not how she went. It is how she will be remembered. I will always remember Whitney Houston as a true legend." "RIP Whitney Houston. A Legend lost :( Her voice was insurmountable, her smile was illuminating, she was truly one of a kind and a huge inspiration to me. She has always had sweet and fun words to say to me. I will cherish the moment I was able to share with her, forever. This is truly unbelievable. My prayers and condolences to her family at this sad time." "Oh Dear Lord! Hurting so Bad! MY Sister Whitney! Newark please Pray! World Please Pray!" "R.I.P. Sister WHITNEY HOUSTON! We will always love you." "Whitney was the reason many of us do what we do. A few stolen moments is all that we share. RIP"
"Very sad news about Whitney. My heart and prayers go out to her daughter and family." "Dear God... There is a grief that can't be spoken... DEVASTATED." "I've know Whitney since she was a little girl and I loved her. She was like family to me. I will miss her." "Tomorrow night at the Grammys, the only person on our minds will be Whitney Houston." "We are so heartbroken to hear of the loss of Whitney Houston. One of the best voices EVER! Praying God's comfort for her family." "I can't believe it... Rest in Peace Whitney... Descanses." "I am deeply saddened and touched to the core of this news of my musical mentor Whitney Houston. I'll always love you." "My heart is heavy for all of us who knew and loved Whitney." "R.I.P. Whitney Houston. Our prayers go out to Bobbi Kristina and her family." "Condolences to the Houston family, especially Bobbi Kristina. I'm lost for words. Prayers and love." 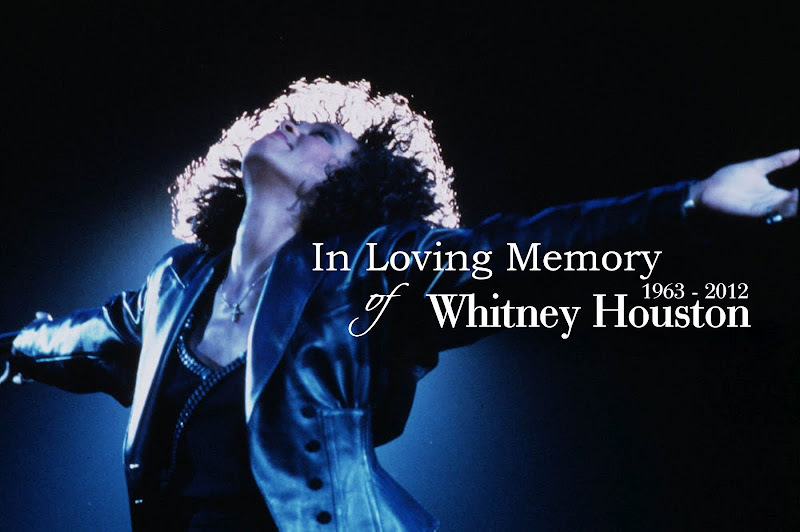 We honor and celebrate the life of one of the world's most gifted vocalist and talented entertainers, Whitney Houston. Although we are all saddened by her sudden passing and will miss her, we respectfully ask everyone to consider her family at this time of difficulty by granting them the patience and comfort they need to mourn their loss in peace. Thank you Whitney Houston for sharing your great songs to us. We will always remember you and will always be in our heart. Yes,We Will Always Remember Whitney and Always Love Her.